Accompanied by the Royal Philharmonic Orchestra, Janine Jansen plays the popular Ralph Vaughn Williams masterpiece “The Lark Ascending”. From the BBC Proms 2003, Royal Albert Hall. 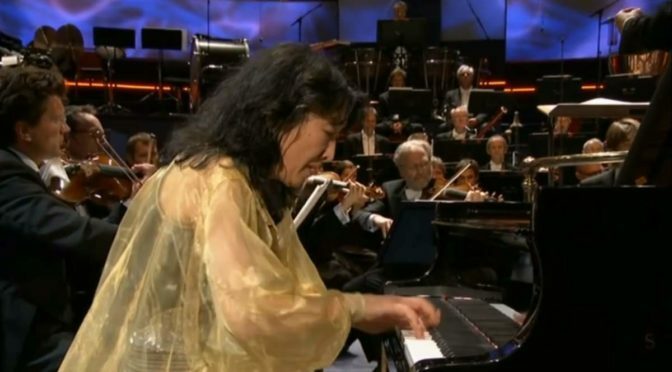 Accompanied by the Bavarian Radio Symphony Orchestra, Japan-born (naturalized in Britain) classical pianist Mitsuko Uchida performs Ludwig van Beethoven’s Piano Concerto No. 4 in G major, Op. 58. Conductor: Mariss Jansons. 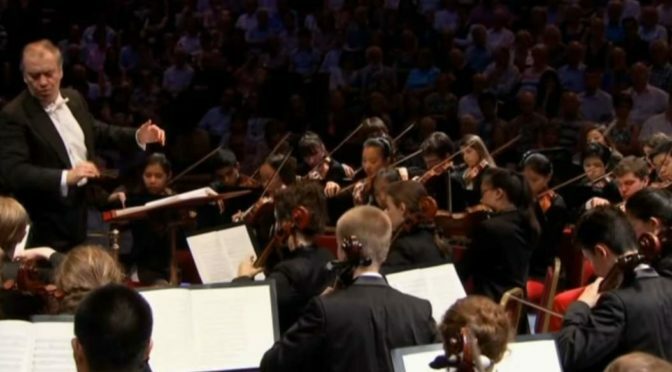 Recorded during the BBC Proms 2013 in London. Conducted by Philippe Herreweghe, Orchestre des Champs-Elysees and Collegium Vocale Gent perform Wolfgang Amadeus Mozart’s Requiem Mass in D minor (K. 626). Soloists: Carolyn Sampson, soprano; Ingeborg Danz, alto; Mark Padmore, tenor; Alfred Reiter, bass. 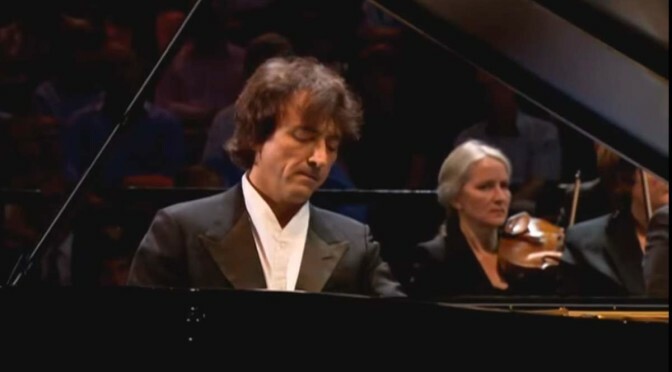 Recorded at the Royal Albert Hall, London during the BBC Proms 2006. The celebration concert of the composer’s 250th anniversary. 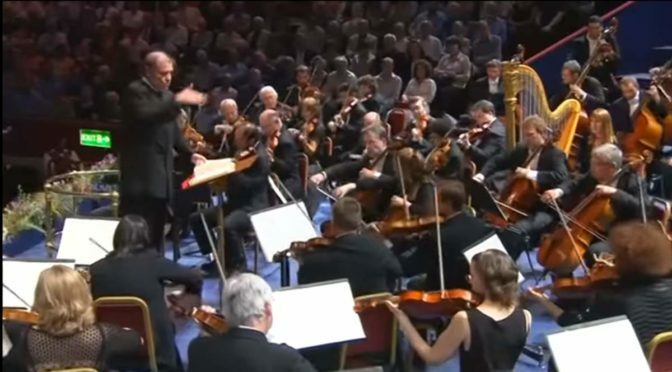 Conducted by Valery Gergiev, the World Orchestra for Peace performs Gustav Mahler’s Symphony No. 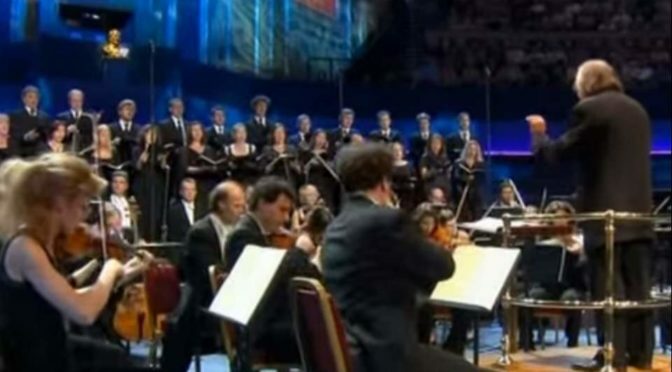 5 at the BBC Proms 2010.